Why not Haz & Wilson? Can't afford it. Can get Hazard and Barnes instead? Free hitting next week then? I'd do it if so. Or Fraser instead of Wilson? But have Brooks already. FH in 32. 2 is better as reasonable to expect azpi to score over 4 points (bookies give chelsea 40% chance of CS). also his ppm is over 4 anyway. Should I use me Free Hit with this team? Can field 10 with -4. Currently have 1FT. All other chips are intact. 30 points ahead in my league, rival is using his Free Hit this week. Sterling + Pogba > Mané + Hazard (-4) might just be enough to save your FH for next GW. But heck, I'd even do Jim/Rash to Wilson for -8. Estimate how many points your team will score this week (after hits) and next, then estimate the amount of points you would score this week and next using a FH. Whichever has the bigger difference - play FH then. For bonus points factor in use of of BB/TC chip too. Or save the FH for later in the season, as his team doesn't beg for a FH in either of these weeks. Bottomed...looking for some thoughts please...this will be my biggest hit to date...need to be sure. Is a -12 here worthwhile considering its 3x gw 31/33 players? Great nice to know as I don't see many of them on here! Honestly I can't give that much advice on it because it's, like you say, a bit of a punt. We all have them, so if you really have a feeling about him don't let me put you off. Assuming you WC in 34, I'd say definitely yes. Anyone put in a Eliteserien team xD? I just did lol. Make sense of that what you will, and rate it haha. Nilsen first on the bench for me. Cheers! Dont you find it odd that last season's top goalscorer was in the relegation scrap?! Bolli scored 17 goals for 14th place Staebek, who staved off relegation only by playoffs. Incredible. 10.0 for an apparently weak team though, but 17 goals . . .
You have a team, Amey? Haha, cheers! Im thinking of it as a nice break/challenge from FPL. Looks interesting enough, interface and site look pretty good. I gave a shot tbh, but not felt interesting as i don't know anything about that league. Wormgoor, what a shout. Completely left him out. Bamba too. I've got to be honest, a few of this I plucked out of Whoscored. But a few looked okay imo. Are you going Rich Uncle in week 2 or loading up on DGW players in week 1. Nah, probably won't RU at week 2. There's a DGW for week 1?! Shala was one I considered, seemed a wee overpriced imo. Valsvik is a nice option other than Meling in that Rosenburg defence. Lindseth, a new star is always a risk. Not for me, but defo on the watchlist. Not sure if this link works but I was working from the comment from MT Pockets here. All just names to me at this point. How bonkers out of 10 would it be to captain Wilson? Its King's turn this week. have only 5 starters this week but 2FTs. should I -8 and get 9starters or FH this week and have 6DGW instead of 9/11 the following week and the problem in GW33 to lose 3players for -8 then? When will I need the WC after GW33 tho? In your case, I'd FH this week, TC next week, take a few hits for 33, WC34 and BB35. Hope that helps. TC sterling for fulham and cardiff potentially, 120mins? why not WC 33? is 34 different to 33? why take the hits? As for the WC34, see below. If you WC in 33, you'll probably end up getting 11 players with a fixture, but they then won't have a DGW35. It pays off a lot more to WC in 34 and shape your team for the rest of the season as well as DGW35. i have sterling and wont get Aguero. first i'll need a differential, second i would shoot my own leg, if i'll get smn with a blank in GW33. have rash pog lindelof doherty jimenez and tc sterling plus very fine fixtures for my other players that should have games in GW33 like Higuain, Maddison, Salah, Kola, AWB. will rather safe and take only -4 to start 11 in GW33. Or could Chelsea, Arsenal, Palace, Leicester, Pool, West Ham also blank in 33? What's the deal with Antonio? Not first choice I guess, I gambled on him a few weeks back, got a goal, then got Jota's 11 points off the bench for him not playing at Newcastle so it's been fine. Tempted to ship for -4 (with 9 GW 31 players already - 10 including him) but if he gets a cameo that's -5 to start with and to beat for whoever else I bring in for 7.8 - Lanzini/Barnes etc? Any West Ham folk on here? i dont understand whats going to happen with GW31-33. feel like i am on the wrong side of things with free hitting now, leaving me with 6DGW players next week, but a headache for 33? I currently have 6 players for this week but I don't mind at all fielding only 8 with a -4. Not sure a free hit is necessary for 3 extra players when most people will have a similar lineup anyway. FH GW32 could yield you many more points in theory - although that depends what your team looks like now. Was that response to me? I'm taking a -4 to field 8 players and will have all the 'main' ones, beyond that I don't see that many players that are very likely to make up the lost points. I certainly won't take a hit for a 3rd defender from a rubbish side. why shouldnt i wildcard in GW33. what chance will i be missing? Blank fixtures in 33 for similar teams to those with a double in 35. Cant maximise DGW35 players if you're having to make an 11 for BGW33 without them. It could yet be a smart move if Brighton lose in the cup and Spurs have them at home. Likewise the Watford Fulham fixture looks tasty if they go out. Those who are just playing 31 players could be at a major disadvantage. An alternative I'm also considering is WC32 and FH33. I think do whatever works for you. There is no reason not to do that (at least no reason to dismiss it!) and thinking outside the group think can get you places. You obviously haven't massively prepared, which isn't ideal but might give you an inadvertent advantage as you're forced into alternative moves, if you're bold enough to take them! Got 11 for this week without a hit. No Salah. Triple captain Mané to spice things up and hope for a big green? Or sit tight and use it either 35, 36 or 38? Go with your gut. Mine says no, but it is tempting. Regression to the mean. History tells us that he doesn't keep it up for too long. TC is always a gamble go for it if it feels right. What other Chip's do you have ?? Yeah i do - that's one of the main reasons i began considering it. Got em all too. Not considering it. No. Could be a surprise double coming up. For Brighton & Cardiff? Who else? Arsenal in GW36 could be nice - Leicester and Wolves both at the Emirates. Both would be away fixtures, not at the Emirates surely? Thinking Arsenal. Bit unclear but I don’t see a TC candidate this week. That’s a bigger ‘if’ than Pellegrinis. Burnley are surprisingly vulnerable@ defending set pieces. Also consider Higuain to A. Barnes/Arnie IF fit. Very similar to mine except I prefer Fraser to Barnes. Higuain is a doubt, so we'll have to monitor that one, otherwise Arnie might be worth the punt. rather have a west ham defender than chelsea this week. if i were to own a chels defender would be luiz as everton are terrible from set pieces. @Jarvish, you're ITK about these things more than most. Does it sound about right that the following teams have a chance of 3 fixtures in GW32-33? I'll be looking at Deeney and maybe a Watford defender if they have a double and a GW33 fixture. Hoping for a Palace double instead though, as AWB + Zaha/Bats are more appealing, I think. Actually I don't think i can spare a striker position for Deeney. Sorry that's I meant. If city beat Swansea they would have a dgw in gw 32 and blank in gw 33. That would be perfect for me because my teams set up for gw's 31 & 33 and Fh in 32 and WC in 34. Just don't know when to play the TC probably will have to be on Salah against Huddersfield I guess unless you have a better option Deulofail ? Surely man city have a chance if they beat sawnsea I'm. 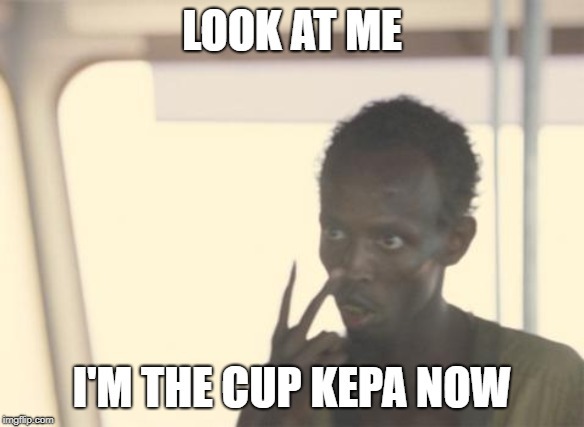 The cup the weekend ? Their GW33 fixture would be moved to GW32, leaving them with a blank in GW33, I believe. Chelsea XI: Kepa, Zappacosta, Rudiger, Christensen, Alonso, Kante, Kovacic, Loftus-Cheek, Hudson-Odoi, Willian, Giroud. Subs: Caballero, Jorginho, Barkley, Hazard, Pedro, Azpilicueta, Luiz. The King is dead, long live Alonso! I thought Caballero was their cup keeper. Hi there everyone may I possibly get some advice on what to do this week please? I have * players available this week and 3 million to spend. I guess as the 8 is also a * that’s what you meant right? How many FT do you have? Is your FH still available? You're not in desperately bad shape. Kamara is dead wood in any GW so Kam->Wilson (or King if you prefer) or another striker who plays in GW31 (Rondon?) if you prefer. Who bring more points in 31 and 33 ? I think Mane if money's no problem. I have 11 players for GW31 before this week's FT. I'm holding Robbo, TAA and Salah. Would Robbo+Pogba -> Mane + DEF (Doherty) be simply mad for -4? Free hit next week. Is Mane now a better option than 2 Liverpool DEF? Proper off the chart crazy. Look at Liverpool’s attacking returns from defenders. Especially Robbo. I’m on Mane, Salah and TAA. Hopefully they all play. Thanks, all. I will sit tight and hope Salah can score some goals! Thought this might help you. Chances for teams having a gw 32 double. Newcastle - ars CPL - very unlikely (10%). what does that mean for GW33? Go on to Ben Crellin on Twitter. Check out his spreadsheet and all your answers can be found. Not in conjunction with the doubles, and the relevant permutations, though? I think that’s incorrect. Not 100% though. I like the idea of 1 Brighton -ie Duffy. Could be a great differential. Yeah Duffy is great asset to have. Ah. Forgot Arnie has Chelsea, so Wilson for you (and now me). Arnie could do the damage in both tbh. Wilson over a player that might play or might not play ? 8 isn’t bad. Why not take a hit or two? Not a fan of FH 32? Guess with no WC it’s tricky. As a depressed Arnie owner for the last 4 GWs this is terrible news. Now every man and his dog can bring him in. Painful. Would only go 2 if Puncheon is going to play but that doesn't look likely so I am leaning on going 1 and saving AWB value/potential 33 fixture. However, I have noticed that Siewart has a lot of injuries though? Any insight? Chelsea players for the next 3GWs are the only ones with 4 games, no? An Era has come and gone. Those are the main ones. Which or the above do you expect will happen tonight? Cheers. Interesting as I switched away from FFFix earlier in season due to unreliability! Was it the page crash?